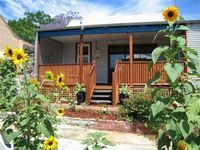 Property 18: Silver Street Studio - Creative, Eclectic, Artistic, Retreat: Perfect getaway! Property 19: Freostays' Kottaj- fully self-contained, shady, central and quiet. Vale Retreat, Ideal for large groups. Property 24: Vale Retreat, Ideal for large groups. Property 25: Mulberry Mansion - Fremantle. A resort style holiday home. Property 27: HERITAGE on BURT - Fremantle Arts Centre Location. Property 31: Thornlie Perth Close to Train great Location Home away from Home. Property 50: Azure Villa Close to City of Perth and Fremantle.